As always, the end of the school year snuck up on me a little bit. I mean, don’t get me wrong; I was SO ready for the end of the year. But with our Artifacts Night in May, I really felt like we were teaching and testing and working hard all the way up until the last week. Suddenly, I felt like “Holy moly! I need to get some gifts!” I know not everyone gives their students going away gifts, but I like to give them a little something. I ended up loving what I did this year and how I pulled everything together and I’ll likely do something very similar to it in the future. Also, most of what I bought was from Dollar Tree and it really helped me keep costs down! 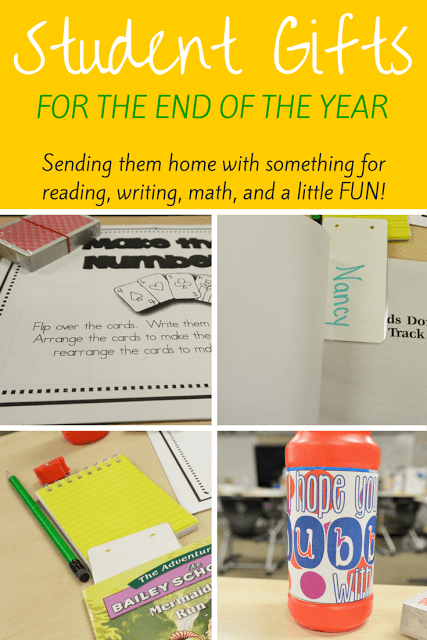 I know there are a ton of ideas out there, especially on Pinterest, but here are some of my ideas for student gifts from teachers at the end of the school year. On Monday, I checked out our mobile cart to do one.last.assessment and decided it would be fun to have the students create Wordles for each other. To start, I had each student type their name 5 times. 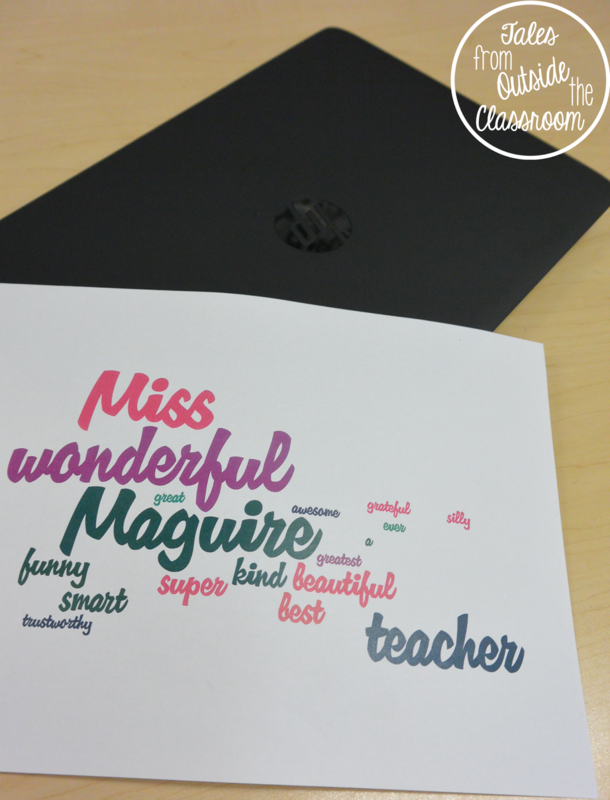 Because Wordles increase the text size based on frequency, I wanted the students’ names to be prominent on their image. We generated character traits that we could use (all positive) and projected them on the board to help ensure they were spelled correctly. We then walked around to each computer and added a character trait for that student. 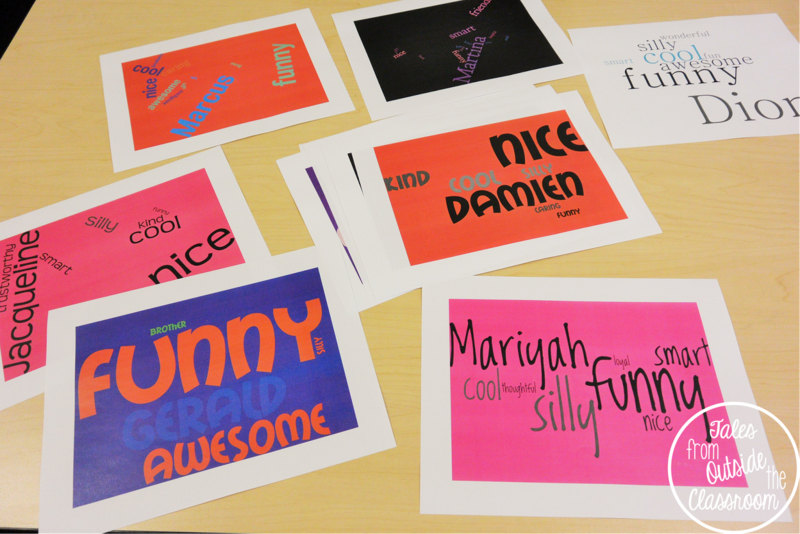 I showed the students how to change the font, layout, and colors so they could personalize it to match what they’d like. I only gave them about 4 minutes to do that though because I knew they would spend forever working on that part if I let them. It was also fun to talk about how specific traits really matched students and that nearly everyone used the same one for specific students. Gerald’s up above really shows that he’s funny and that’s what students identify with him. 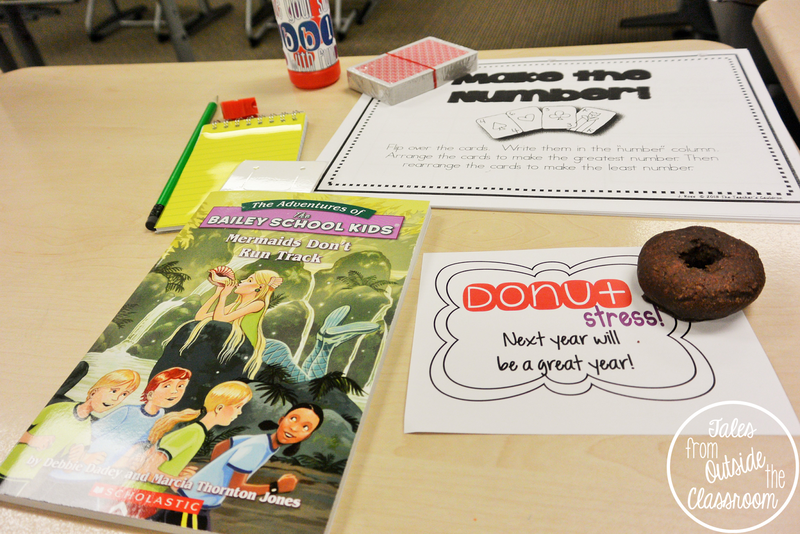 On Friday morning, the students desks had surprise gifts as they walked in. I loved the “Donut” tags I used for state testing and so I wanted to do something else with it. I just bought a couple bags of chocolate donuts from Hostess and then gave each student one with this tag. If you’d like to download the tag for yourself, just click the image below. I ordered books from Scholastic for each student and made them books with individual, positive messages. I originally just purchased a 25 books for $25 box, but, unfortunately, more than half of the books were Christmas or Halloween so I ended up mixing them between those and some others I had. 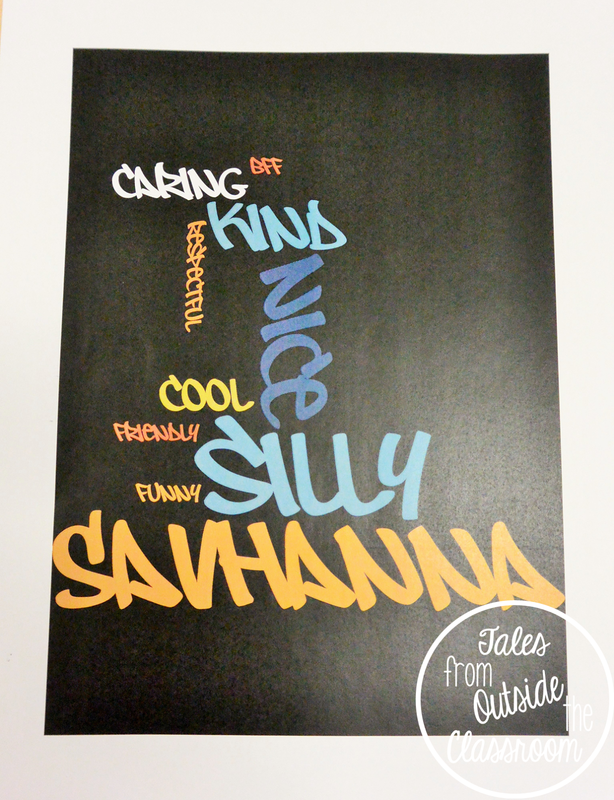 To see more about my bookmark project, just click the image below to head to the Ellison blog to see that post. I placed the bookmark in each student’s book and told them that I chose that book especially for them. I mean, I did, from the box of books I had available. I gave each student a deck of cards. Dollar Tree sells cards in packs of 2 for $1. You can also find cards for free from casinos if you ask nicely. This was much easier for me and for $12 I had enough that I needed. 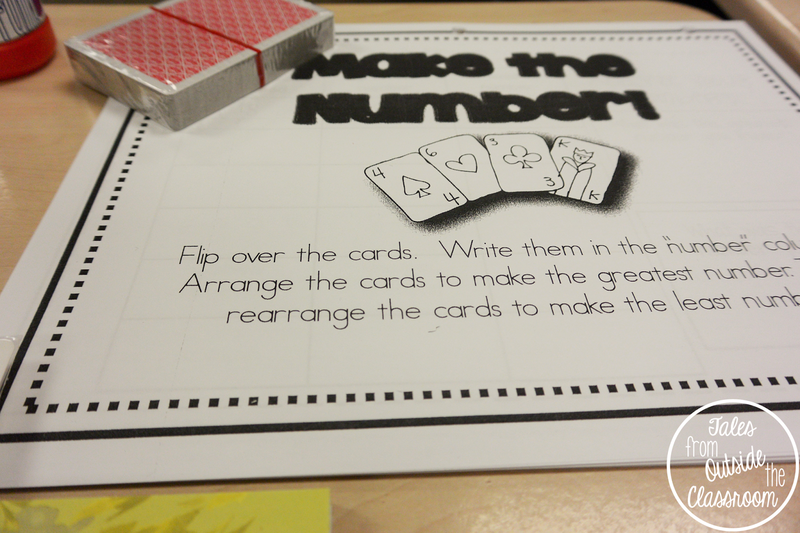 I then printed out pages from Teacher by the Beach’s Math with a Deck of Cards. I gave each student a plastic sleeve and they added the sleeves and pages to their classroom binders to take home. 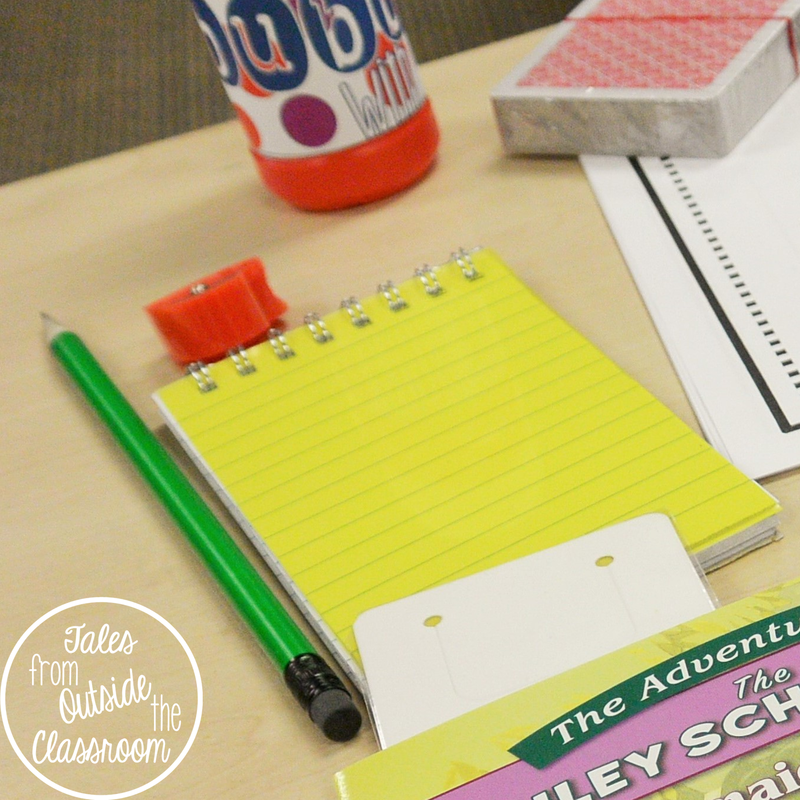 They also took home their classroom dry erase markers so they have everything they need to practice a little math this summer! I gave each student a sharpened pencil (packs of 12 for $1 at DT), a pencil sharpener (packs of 12 for $1 at DT), and a little memo pad (packs of 3 for $1 at DT). I told them that this was so they could continue writing this summer. And because I don’t want them to think I don’t want them to have any fun, I also gave each student a container of bubbles. They come in packs of 3 for $1 and have two different sets of colors. I also created a tag last year that says “I hope your summer bubbles with fun” and added that to each one. Click the image below to head over that post to download the tag. I’m sad to see this year wind down, but I take comfort in knowing that we had a great year and I’ll see so many of my kids again next year! Happy summer days will be here shortly!